Oh my word, it’s been a whole month since we posted our very first blog post! Eat all the sweets that our CEO bought us during his Prague weekend. Come up with a master plan on How-To-Take-Over-A-World-With-New-Posts. We’ve been thinking over item № 2 a lot. Today, we decided to add a new blog topic named AcademyOcean Updates. Let’s see what changed for AcademyOcean in April! 1. 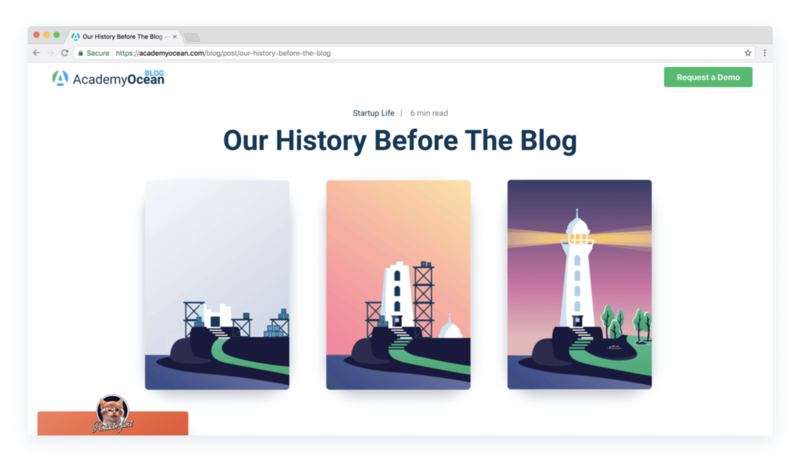 We finally launched our long-awaited blog. Hurrah! For the first time, our team used Wordpress. But it turned out to be too slow and cumbersome, that’s why we refused it almost immediately. As result, we created a new blog on our own in a week. It has a modern minimalist design and it’s fast as lightning! 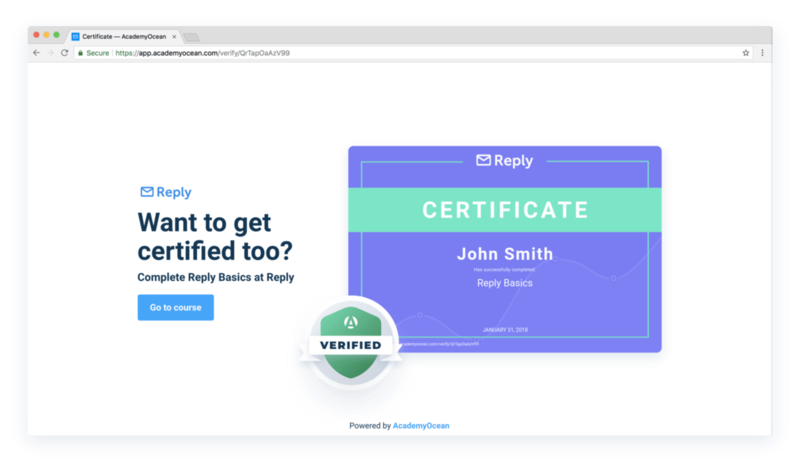 As you may know, you can certify your learners, rewarding them with bonuses, promo codes, and certificates for courses they’ve passed. Each of these certificates has its own verification page so that every person can check its authenticity. Learners receive certificates in your Academies. Then, some of them may share their certificates in social networks. Thanks to this function, more people will learn about your company. 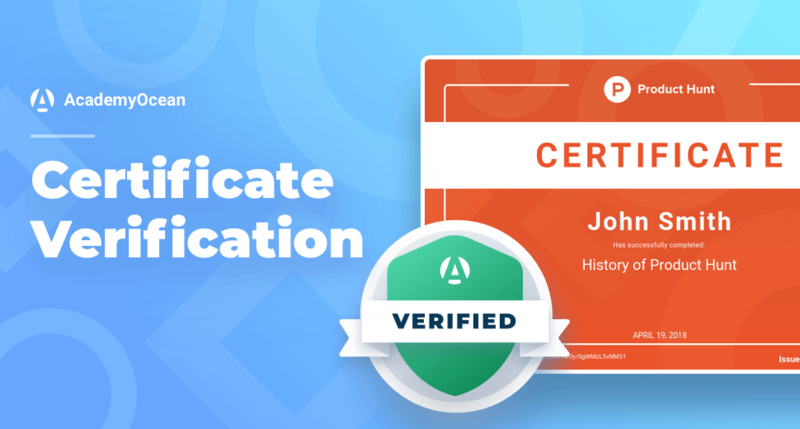 In case if your Academy isn't private, every click on the certificate will lead to the page with a proposition to pass your course. How cool is that?! 4. The pretty update: we added animation to Academy course cards! By the way, it’s a screencast from our “Academy about how to create an Academy”. We’ve recently launched it and all of our clients get access to it. 5. We added one more extra helpful feature. 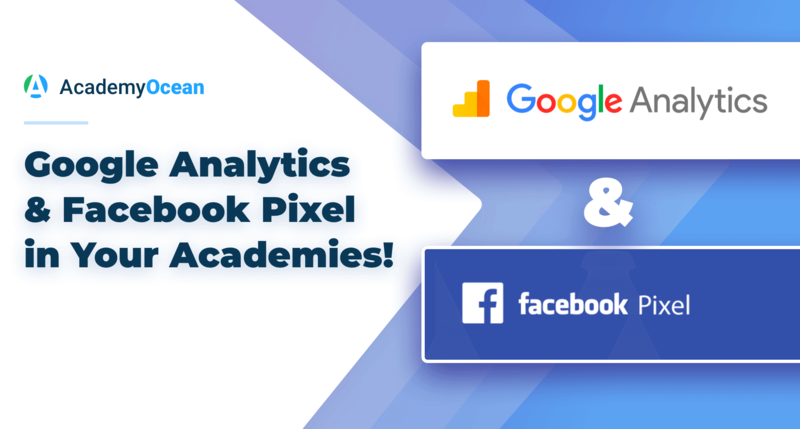 Meet Google Analytics and Facebook Pixel in your Academies! With this update, you will receive even more valuable statistics about your learners and show ads to users that are truly interested in your product! Isn’t it great?! 6. Our developers did a nice job and they seriously upgraded Academy’s integration with Zapier. Also, we launched a very cool feature: our customers got the opportunity to “catch” those learners who haven’t finished a course. learner starts passing an Academy. some learners do not finish courses. All of them would be added to a special list. two days later, if a learner is still on this list, we send this information to your Zapier account. you can then send a special letter to such a learner using any email service integrated with Zapier. This letter can contain a message like: “Hey, you haven’t finished a course! You might miss the coolest part!”. Thus we improve learner’s engagement with Academies. Our clients, meanwhile, can return their learners. 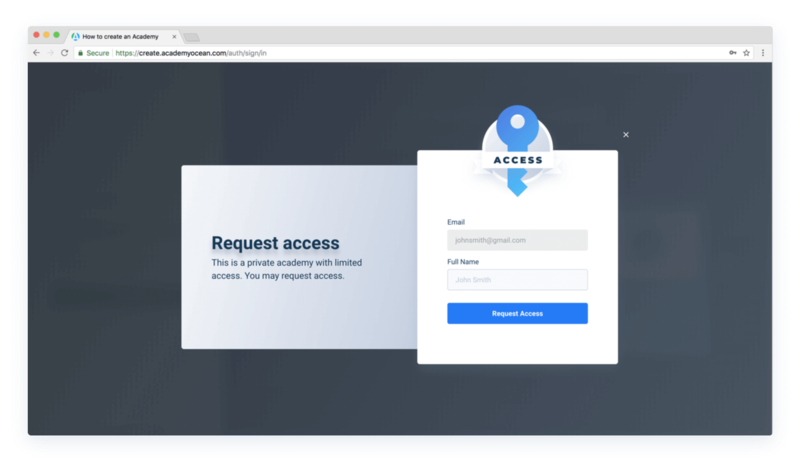 Learners can now request access to private Academies, and admins can accept or refuse their requests. It’s very useful when the access to your Academy is exclusive (for example, when it is available only for customers).